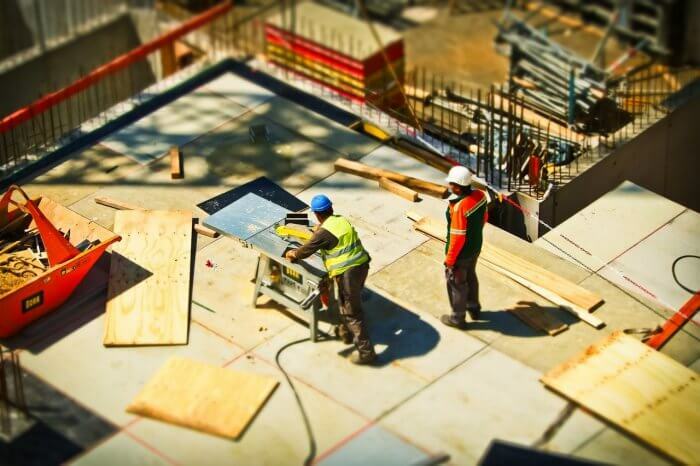 According to a study, the UK construction industry contributes to 32% of the total landfill. This percentage includes waste materials produced due to the packaging and building items that are used in the building project. Such statistics imply that the disposal of these waste material is expensive. That is why the construction industry of the UK requires the well-crafted waste management plan that can work well on a shoe-string budget as such projects are not cheap at all. There are more than a single benefit to keep the construction site clean. Have a look to know more about them. People are responsible for polluting the beautiful landscapes like river, lakes, ponds, and oceans, which has eventually led to several serious issues. One of these is global warming. It is harmful to the health of living beings staying near that area. Therefore, it is the responsibility of every individual to not participate in any such activity that can become the root cause of pollution. Make sure to clean the construction site properly. All the hazardous materials must be disposed of well. Do not leave the tools and pieces of equipment used in the project as it can fall into the hands of kids or animals. It can have a damaging effect. Creating a safe working environment for the workers is the sole responsibility of the people running this construction project. The workers of this industry work under several risks. They are surrounded by so many dangerous objects that one wrong move can be fatal for them. Also, the heaps of powerful tools and building materials can surely add to their problem. To make the site safer, it is necessary to arrange the tools and materials and take them away from the site when the job is completed. It will help in reducing the risk of the injuries that the labours face on a regular basis. When the work is going on in the site, the workers find it difficult to travel from one destination to other due to the heaps of waste materials on their way. Moving in such places gets really risky. Therefore, it is necessary to keep the site cleaner especially those areas where the traffic is very high. Concentrating on the work becomes challenging while working in a place that is full of clutter. Nobody wants to work in such an environment. Also, a dirty place affects the reputation of the authorities. Cleaning the place will enhance the efficiency and therefore, productivity of the workers. Also, it will help in the quick execution of the jobs and eventually, a project. The construction industry is impressed with the fact that some of the building materials can be easily recycled at the recycling centers. Make sure to figure out the best ones in your town and also those that are near to the site. It will help in easy transportation of the waste. Do not dump the building materials like bricks, concrete, etc. Instead, reuse them in other residential or commercial construction projects. There is more than a single advantage to reusing the building materials. One of them is a huge amount of money is saved due to this. Also, the building elements do not get wasted due to reusing. But, all the other waste materials that cannot be reused and recycled, must be managed well. For this, hiring a reliable skip is the best option. The best way to manage the waste materials of the project is to rent a skip of the required size for the project. But, reaching out to a company that has an impressive reputation in the skip renting is a big issue. There are so many firms in the market that provide lucrative offers on hiring the skip. One of such reliable firms is RMS Skip Hire. Get proper information about the company from which you are taking the services. PrevHow the Internet Is Changing Our Driving Habits? NextHow to Avoid Water Damage on Your Property?